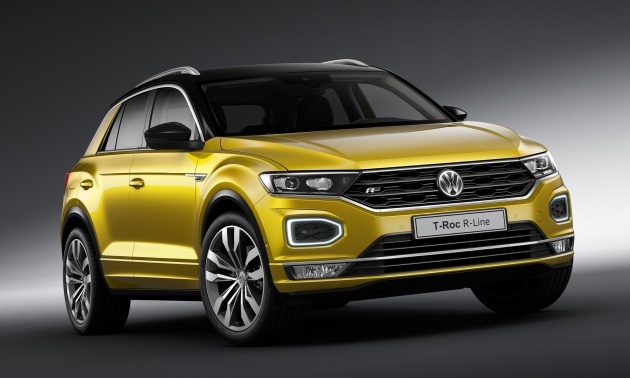 With the Volkswagen T-Roc first unveiled just a few weeks ago, the Wolfsburg-based automaker has presented the T-Roc R-Line variant at this year’s Frankfurt Motor Show. As the name implies, this is a sportier dress-up of the MQB platform-based SUV which first surfaced as a concept at the Geneva Motor Show over three years ago. 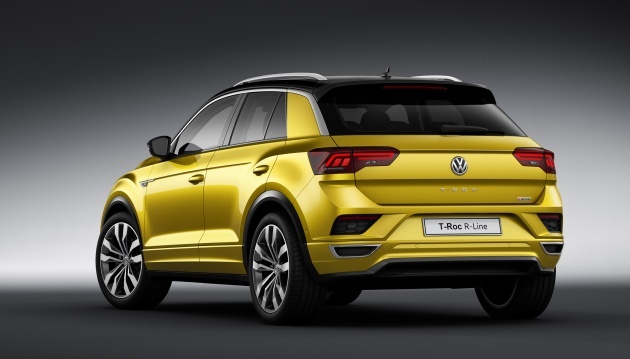 The T-Roc R-Line continues to be available in front- and all-wheel-drive configurations, and as with the standard T-Roc, it will be available with most of the six turbocharged engines, comprising three petrols and three diesels on the standard T-Roc. Transmission options are either a six-speed manual or a seven-speed dual-clutch automatic, driving the aforementioned front wheels, or all four wheels. Models with the 4Motion all-wheel drive gain an active control function, which offers the choice of two on-road modes – street and snow – as well as two off-road modes, off-road and off-road individual. Driver profile function is standard on the 4Motion models and optional on the front-driven versions, allowing for a choice of five modes – comfort, normal, sport, eco, and individual. Safety and driver assistance equipment is comprehensive on the T-Roc, which comprises autonomous emergency braking with pedestrian monitoring, Adaptive Cruise Control (active up to 210 km/h), blind spot monitor, Park Assist, Traffic Jam Assist, Lane Assist, Automatic Post-Collision Braking System and more. Creature comforts and conveniences in the T-Roc include Volkswagen’s 11.7-inch Active Info Display, a 300-watt sound system, Apple CarPlay and Android Auto connectivity, Volkswagen Car-Net connected services, inductive charging for smartphones, plus a variety of infotainment systems. A 6.5-inch touchscreen is standard across the range, while higher levels of trim include the eight-inch Composition system with CD player, or an eight-inch touchscreen-equipped Discover media system with satellite navigation. Macam mana habis bila Boyue dah jual berlambak lambak? Previous Post: Harga bahan api 14-20 Sept – terus meningkat! Next Post: Renault SYMBIOZ concept – a car and house combo!